Grumpy Cat has a movie deal, the "I Can Has Cheezburger" franchise is worth millions, and Big Bird became the star of the 2012 U.S. presidential election. Internet memes have the power to capture the fleeting attention of millions, so finding a way to tap into that power to market your business could give you a huge boost. But what goes into creating a viral hit? The environment, the topic and the timing all have to be right, says Damon Brown, entrepreneur and co-author of The Complete Idiot's Guide to Memes (Alpha, 2010). Brown studies pop culture and the power of memes. "There isn't an exact formula to go viral. You do the best that you can and see how it goes," he says. 1. Pay attention to pop culture. If you want to understand "the modern zeitgeist" and what people are thinking, you have to follow pop culture, Brown says. "Memes are little pockets of pop culture that show what we are thinking at that moment," he says. "How can you create a meme or be part of a meme if you don't know what the modern thinking is?" When you find something in the news or in pop culture that is appropriate for your business, timing is everything. 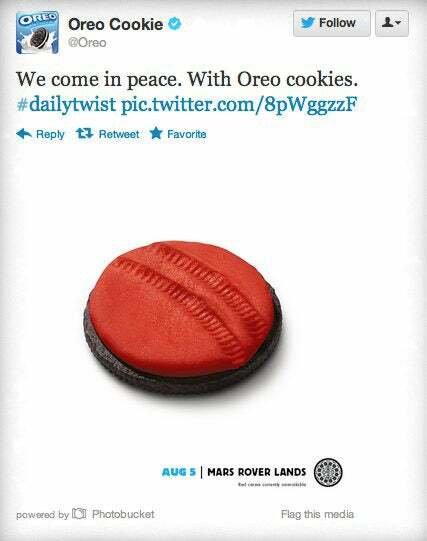 For example, within hours of the Mars Rover landing last August Oreo released an ad showing a cookie with what looked like tracks from the Mars Rover it the orange-colored cream. It's not about seeing what's trending right now and trying to create something around it, Brown says. Rather, he advises to be proactive and look for elements of your product or business that are meme-worthy. Brown says you should ask yourself, "Is there a meme in here? Is there something that can carry on?" For example if you make all-natural soap, Brown says, and Youtube video of a baby eating soap goes viral, use that opportunity to latch on to the video's success. The infographic below from Seattle-based online backup service, Mozy, breaks down different types of memes and the elements of a viral hit, as well as the history of how memes started.